When I was diagnosed with multiple sclerosis 10 years ago, my husband became my primary caregiver, a job that consumes enormous energy and has increasingly challenged his patience. Little did we know how much our world would change, but we were quickly overwhelmed by fear as we realized our biggest challenges were ahead of us. At first it was relatively normal. I was fatigued and a bit shaky, but still walking, driving and functioning pretty well. Then it became much harder as I lost mobility, moving from a cane to a walker to a wheelchair today. The burden fell on my husband to take care of me. I eventually had a daytime home health aide, but my husband was in charge of making the trains run on time, doing the household chores, ensuring my medicines are up-to-date, that I get to the doctor and that I keep up with my physical routines. I continue working as a freelance writer, and my husband goes to work every day. But the mornings and the evenings are a heavy burden for my primary caregiver. There are ways to cope. Here are 8 basic tips for caregivers looking after a spouse or a relative who is disabled because of MS.
Make sure the home is safe and accessible. Think about accessibility needs today and what may be required in the future, and consult with experts on your options. This may involve home renovations, some of which may be simple and others that may be costly. You want to ensure safety, provide as much independence for your loved one as possible, and create an environment that reduces your own strain and stress. You certainly want easy entry and exit from the home, doorways that are wide enough for a walker or wheelchair and the ability to use a shower or bath. Get the right equipment: Many issues such as bed sores or general discomfort can be avoided if you have a properly sized wheelchair with a quality cushion. To make life easier for everyone, you also should consider a hospital bed that raises and lowers, a portable bedside toilet to avoid time consuming treks to the bathroom, and a portable patient lift if your loved one cannot stand on her own. Physical fitness is important: Make sure your family member with MS is on a schedule of stretching and moving as much as possible to prevent stiffness and spasticity, and encourage the importance of building strength and staying as physically fit as possible. MS affects people in different ways and often causes fatigue and weakness that limits exercise, but building up one's strength when possible can turn out to be a real asset. It's a family affair: Family members should be part of the group helping the caregiver with chores such as grocery shopping, house cleaning or taking the patient to the doctor. Family members also can help the caregiver take a break and provide some personal space. Closely monitor medications: Keep a chart to make sure prescription medicines are taken on time, and watch for any adverse reactions. Don't let your loved one become isolated: While the symptoms and progression of MS varies, the more disabled one becomes, the more difficult it can be to socialize with friends and take part in activities outside the home. 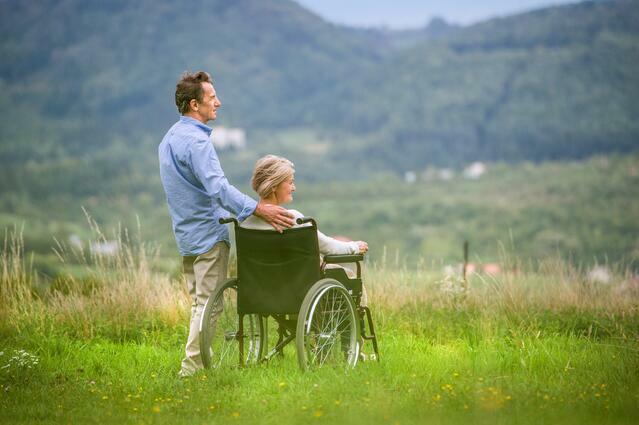 Encourage your loved one to get out as much as possible to visit friends or to have them come for visits. Help your loved one identify and participate in organized activities or take part in volunteer opportunities to help others. Watch out for your own health: It's easy to lose sight of your own needs and concerns when taking care of a loved one, but it's critical to be alert to signs sleep deprivation, poor eating habits, health problems, stress or even depression. 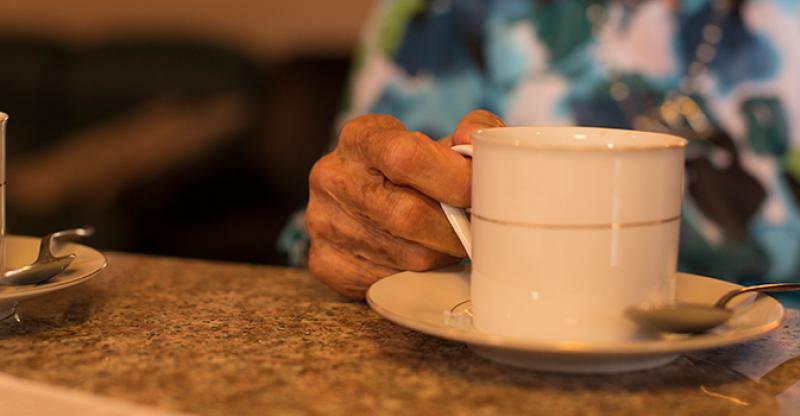 It won't help anyone if the primary caregiver gets sick. Don't bottle up your feelings: Having a loved with a debilitating chronic disease like MS and then becoming the caregiver can cause feeling of frustration and anger that can build over time. Talk it out and together find ways to relieve the tension and the stress. If need be, seek outside counseling or talk to friends.